Categories: All Parts, Invacare Lynx, Mobility Scooter Parts. 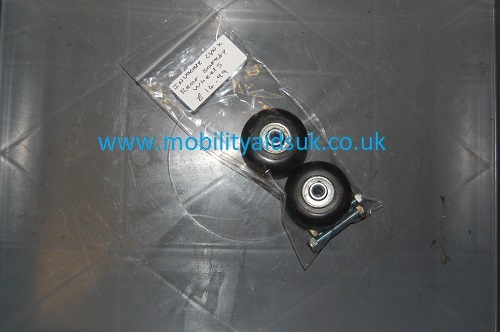 Invacare Lynx – Pair of Rear Safety Wheels in good working condition, item is second hand in a good clean condition. All our parts are second hand and are fully tested before they are dispatched from our warehouse, all parts are priced to sell and are all security tagged may show signs of wear.